Doudou et Compagnie's stunning unicorn slippers are super soft, exceptionally cute and beautifully packaged, making them the perfect present for the tiniest of toes! 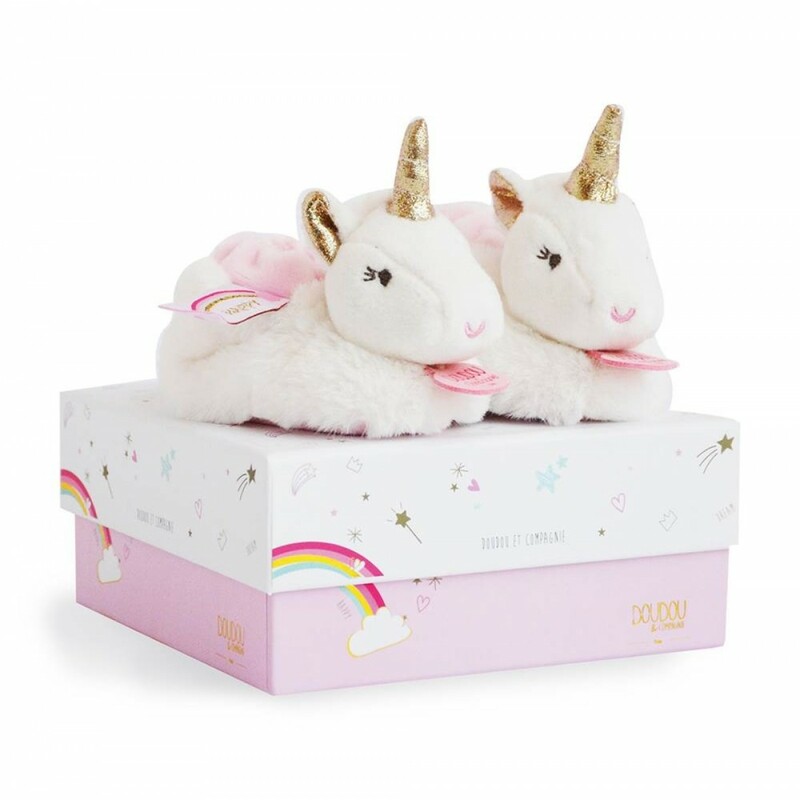 Elegant, comfortable and with a little non intrusive rattle at the top to encourage movement, the slippers are shaped like a gorgeously soft unicorn that any young lady is guaranteed to adore. It's a really unique product, that always makes a really high impact gift for a new arrival. The Unicorn Slippers come in a lovely presentation box, so they always look amazing. Wonderfully made to exceptional standards of quality, your little one can make many special memories in them.